We spent over 40 hours researching and testing 15 different types and brands of adult baseball bats and found that quality of construction, durability, and balance were most important. The Marucci One Red Baseball Bat scored high marks in every category and is our top pick. This popular bat features professionally balanced swing weights that feel good in your hands. The Kevlar reinforced tacky grip provides the feel most players look for to get a great hit. This 33” bat weighs 30 ounces and comes with a full 1 year warranty and meets all BBCOR standards. Baseball bats have come a long way thanks to all of the new technology that has come to light. Now more than ever bats enhance performance and can be tailored to the individual player’s strengths. There is a large choice available in bat materials that include aluminum, graphite and other strong and impressive materials. Each one of the materials used to create modern bats has its own characteristics as well as the advantages for those who play the game. With all of the varieties and choices available on the market today, choosing a bat can feel really overwhelming. The purpose of this guide is to provide consumers with the information needed to make the best choice possible when it comes to getting the right bat. We will go over many different aspects of finding the right bat so you will be able to find one that meets your preferences, your needs and also your personal skill sets. This sleek bat will have all the guys at the city league games waiting for your bat when it is their turn. Marucci One bats meet the player’s needs in an exceptional way. It features professionally balanced swing weight and just feels good when you swing it. The Kevlar reinforced tacky grip provides the feel you are looking for to knock those pitches out of the park. This bat measures 33” and weighs 30 ounces. This ultra responsive bat meets all BBCOR standards and is offered with a full 1 year warranty. It is top of the line for anti-vibration grip and has a very responsive sweet spot as well. You’ll love the performance and look of this Marucci One bat. Purchase the bat that will help you improve your game and get the Louisville Slugger Omaha Baseball Ball. This sleek bat measures 31” to 32” and weighs about 28 ounces. This is the perfect bat for college players and those who participate in adult baseball/softball leagues. You will be ready to knock it out of the park. 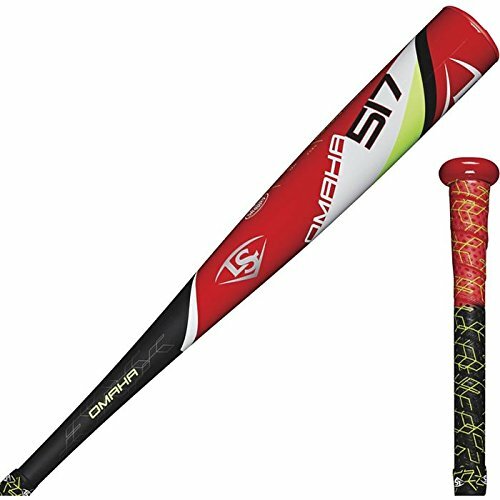 This sleek bat meets all of the standards from the 2011 NCAA and 2012 NFHS and features durable and lightweight alloy that greatly improves durability and performance. This adult bat meets all college BBCOR standards. Players will enjoy the balanced feel and grip with its tapered handle and large hitting end. The Pro Cup end cap provides the player will greater balance during the swing. Enjoy the longest BBCOR sweet spot and barrel on the market and get this Louisville Slugger Omaha Baseball Bat. Easton is a well known name in baseball equipment and other sporting goods. This adult baseball bat is the perfect choice for college games and city league sports. This bat is crafted from aluminum alloy that is super strong and durable. This material allows Easton to manufacturer a bat that has a light swing and a large sweet spot all wrapped up in a design that has the perfect balance. The 31” to 32” handle is tapered and covered with all sports grip. There is a 1 year warranty on this bat. Players can choose from lengths and weights ranging from 30” and 27 ounces to 34” and 31 ounces. 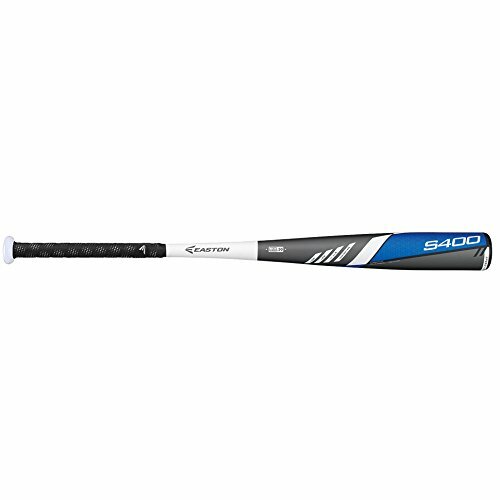 The S400 is perfect for all your baseball playing needs. Bring this to the city league games and chances are it will become everyone’s favorite bat. With all of the baseball bat choices on the market, it may feel like quite the challenge to decide which one is the best for you. Finding the right bat is important to how you play. If a bat feels good in your hands when you pick it up, hold it and swing it, you’re going to play well with it. The three top rated adult baseball bats we featured above are all great examples of good quality, durable bats that adults and college students will love playing with. Each of them is from well known, trusted companies in the sports industry. If none of these three choices is what you are looking for, continue reading our buyer’s guide below. It is filled with information on how to choose the right adult baseball bat for your needs and preferences. This information will help you research and sort through all the choices out there so you can purchase the right one for the amount of playing you do and will provide you with the feel and performance you are looking for. There is a large variety of materials that are used to make baseball bats. Which one you use can play a part in how well you play the game. We have outlined the most common materials used in the bat manufacturing process. 1. Aluminum – Aluminum bats are also sometimes called metal or alloy bats. They have been around longer than composite style bats but not as long as wood. They are lighter in weight than a lot of the other choices and require no break-in time. The player has greater control and bat speed, with an alloy bat, making balls travel father with aluminum that it does with any other type of bat. Some of the benefits to getting an aluminum bat include its durability and isn’t likely to crack or break. Different alloys are used to create different bats and they all weigh something different. The sweet spot is usually increased with an aluminum bat. Even if an alloy bat gets damaged a little it can still be used because it doesn’t crack it usually just bends. The determining factor is whether a barrel ring can still fit around the barrel. As long as it can, the bat is still legal. Alloy bats tend to have less pop than composite and wood and their sweet spot is usually a little smaller as well. 2. Composite – Composite bats are made up of layered materials that are similar to carbon fiber. Controlling the weight distribution of the bat is much easier with a composite bat. This makes it much easier for evenly weight distributed bats or end loaded bats to be made. End loaded bats will have more weight at the end of the barrel. Composite bats minimize the sting that players experience from a miss-hit by reducing the amount of vibration the player experiences. Composite bats also have a larger sweet spot and players can get more pop from the bat than they can with alloy. You will pay more for a composite bat because there is more to making them than there is with wood or metal bats. There is also a break-in period that players can expect to go through before you will really feel the pop. The break-in period is usually 150-200 hits, rotating the bat after every hit to ensure even break-in. 3. Wood – Wood bats are the classic bats that give that classic feel and sound from decades past. Wood bats tend to offer more choices in the way of shape and taper that can be adjusted to the individual player’s swing. A bat with a long and wide grain means that the tree used to create it was older as well as denser. Some disadvantages to wood bats include the fact that they crack and break, they have reduced sweet spots on the barrel and wood bats have a lot less hitting power than the metal options do. Ash is still a popular wood for bats among the big leagues and provides a lot of flexibility due to the grain structure it has. It is much more forgiving than maple and rarely fractures. Maple is preferred by most professional players and provides them with the ultimate in surface hardness as well as unmatched sound and feel. This is a harder wood and provides added strength at impact with the ball. The closed grains that maple has, prevents flaking which is a common occurrence among ash bats. Relatively new on the scene is Birch and it is growing in popularity in leaps and bounds in the professional arena. It has the perfect matchup of hardness and flexibility which allows it to last much longer. The hardness, similar to maple wood bats, provides the player with great contact and sound. Birch bats are lighter than maple and allow the player a lighter swing weight. The majority of bats are weighted in ounces and not pounds. Finding the right weight for each individual is based on two major factors: the strength of the hitter and their hitting style. Personal preference in length and weight also play a part. Use the following guidelines to choose the right bat for your style. The Right Barrel Size – The length of the top part of the bat and the diameter make up the barrel size. The longer a barrel is the larger the sweet spot is which is preferable for many players. The standard diameter of a barrel is 2/5” but there are many players that prefer a smaller barrel that provides them with more speed when swinging and also lightens the bat’s weight as well. The Taper of the Bat – The diameter of the bat’s handle is called its taper. A standard bat is tapered 31/32 of an inch. Preference can alter this number larger or smaller depending on the feel you prefer. Larger bat tapers reduce the sting on the hands when the ball connects with the bat outside the sweet spot. Narrower tapers reduce the weight of the bat and allow the player to rotate their wrists faster when they are up to bat. The Grip – The covering that a bat manufacturer uses on the handles of aluminum bats is called the grip. Rubber grips do a great job of absorbing the shock of the ball hitting the bat. If you want a more secure grip, opt for leather or synthetic leather. Some bats have a cushioned grip to reduce shock even more but some players may not like the “softer” feel to the cushioned bats. There are several factors that are involved in choosing the right bat for a player’s needs. While it’s not a complicated process, it does take asking yourself some questions about certain preferences that you may have, and also involves having knowledge about the different aspects of a bat and how those aspects affect a baseball bat’s performance. The information in this buyer’s guide is designed to help you find the best bat you can for the budget you have set. You will be able to enjoy better performance and results by using this information and applying it to the bat choices you make. With the right knowledge you can be confident of the choice you make and feel the evidence in the results you get on the field. Whether you play in a college sports team or you just enjoy playing with your city league, you want to purchase a bat that helps your game and enhances your own playing skills.